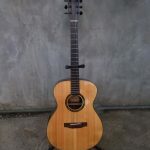 My last guitar was a laminated Yamaha Folk Guitar. 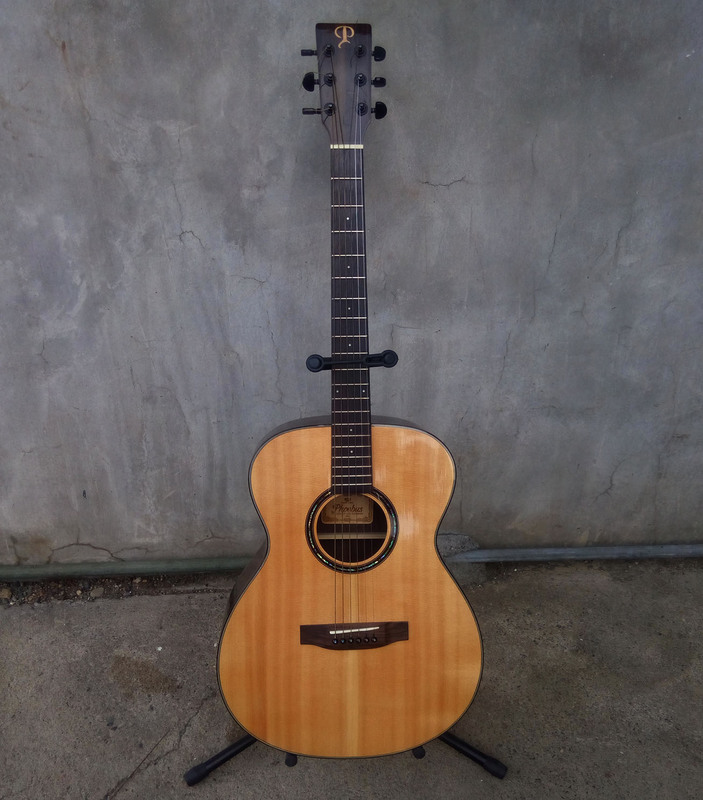 I’ve always wanted to own a solid top guitar but most of those are really out of my budget. I finally found an affordable one that can hold its own against more expensive brands. 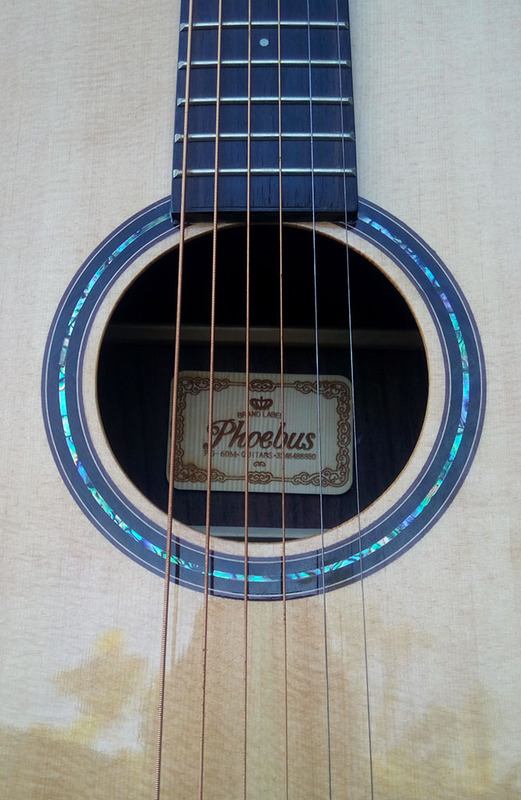 The Phoebus PG-60m won’t break the bank like a Martin, Taylor or Larrivee but it is certainly capable of producing an amazing sound. It was a nice little Christmas gift for myself. 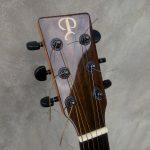 The Phoebus PG-60m is a 40″ Orchestra Model acoustic guitar. I got mine for around $240. The guitar sounds great, the notes ring clearly and has good sustain. Soundwise, it really went beyond my expectations, especially for a cheap guitar. No complaints on that area. 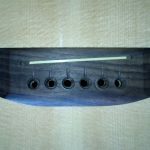 The build seems quite solid and sturdy but I have found some rather minor (nit-picky) flaws on this otherwise perfect instrument. The drilled holes for the bridge pin doesn’t look as smooth as I would’ve preferred. It has some splinters that should have been smoothed out. 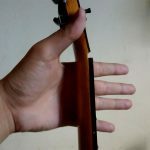 The bone nut is not cut close to the size of it’s seat on the head-stock. 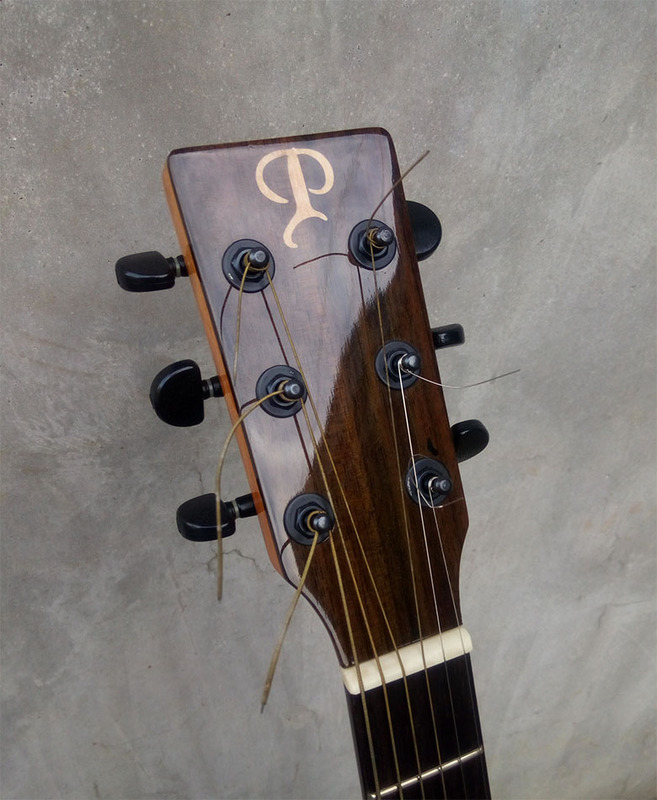 In effect the nut comes loose once the strings have lost tension. It should’ve been made to fit more tightly. The bone saddle has a strip of plastic underneath it on the bridge. The saddle was probably accidentally made shorter than necessary so they placed a plastic strip to get it to the proper height. 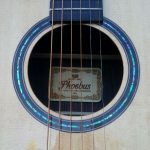 I’m not really sure but this flaw might not be Phoebus’ fault but rather the re-seller that tried to set-up the guitar. 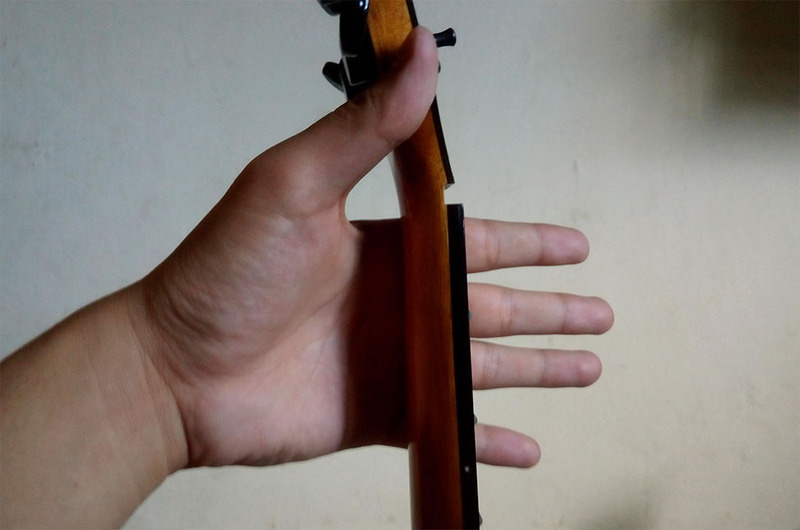 The neck is quite thin and I was initially worried that it might snap easily. I eventually got used to the thin neck. It’s probably as thin if not thinner than my electric guitar’s neck. 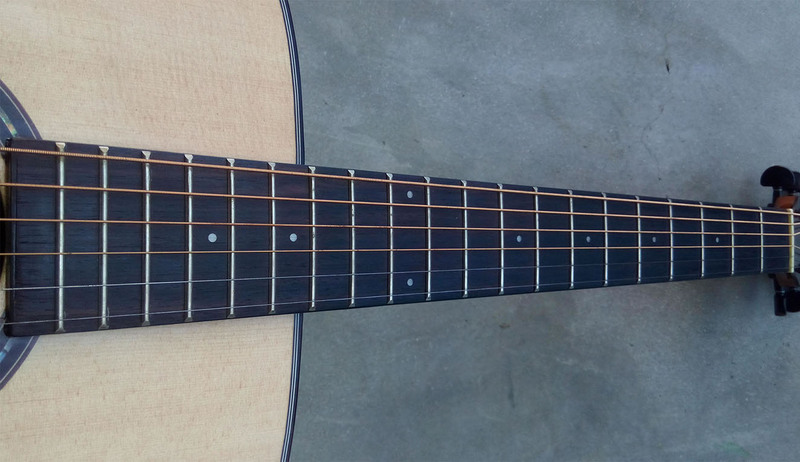 The width of the fretboard is also a bit thinner than I would have preferred. 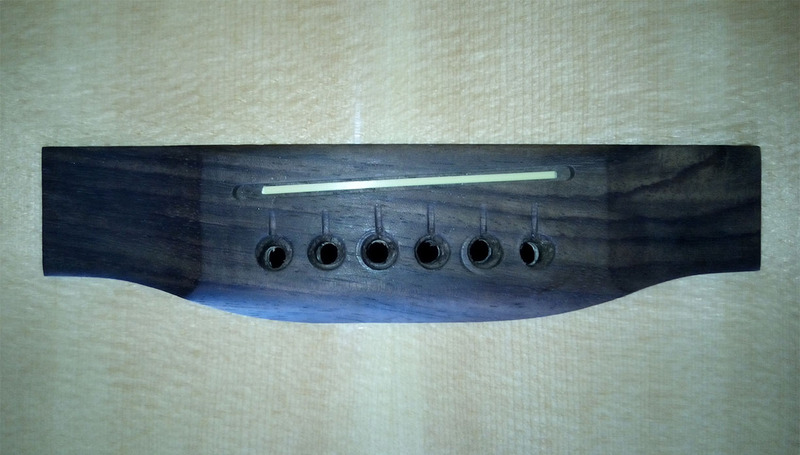 The edges of the frets are filed in a slanted way, reducing the workable width of the already slim fretboard. 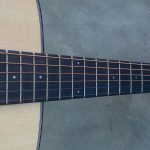 This mean that doing a vibrato on the low and high e-string makes it really prone to slipping off the fret. Despite minor flaws the guitar is hard to put down since it feels good to play and sounds way better than any other guitar I’ve had. Front profile with nice wooden label. Plastic filler underneath saddle + rough pin holes. Neck looks dangerously thin especially without the nut.